Stampin' Up! 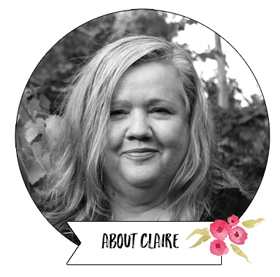 Australia: Claire Daly Independent Demonstrator Melbourne: Claire Daly's Stampin' Up! Australia Demonstrator Blog. Buy Stampin' Up! or join in Australia. Hello. Welcome to my Stampin' Up! blog. 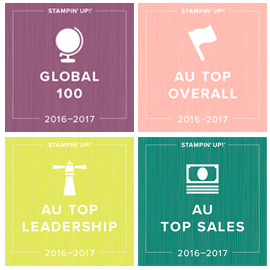 I'm proud to be Australia's top demonstrator for 2017/18 and a Global Top 100 Demonstrator for Stampin' Up! I lead a large team of fun, friendly and supportive stampers, called the Art with Heart Team. I've been a demonstrator for 12 years now, joining the first year Stampin' Up! came to Australia. I love to scrapbook, make hand-made cards, and get inky trying out new techniques and generally having fun with stamps, inks and paper. Our products are sold direct from demonstrator (that's me) to you through my online store, or by phone / email / in person visit. You can view all of our products in my Online Stampin' Up! Store, or via our paper based catalogues. Request a current catalogue. Find Stampin' Storage HERE in my Online Store. April 1st is the launch of our brand new Stampin' Storage range. This is a modular storage system which can be added to bit by bit to store your Stampin' Up! ink pads, re-inkers, markers, ribbons and much more! There are lots of different configurations you can build by purchasing the five different sections available in my online store. If you choose to place your orders in my online store (see below for how), you can qualify for a small gift by using the monthly host code. You will be prompted to add this at the end of your order. Just place your order like normal. Your order will be delivered like normal (see below for how to order), and the month after your order (usually around mid month), you will receive a free gift in the mail from me as a thank you. My customers love getting their little surprises in the mail, and I love giving them. If your order is over $250, don't use this host code as you will be promoted to choose your own Stampin' Rewards (= free product of your choice, starting at 10% of your order and increasing in value as your order size does). Whichever way you choose, your products will ship directly to your door anywhere in Australia via Australia Post with a tracking number available once shipped. I place orders as soon as payment is received and ship directly to you, so you can expect to get them QUICKLY. I'll also be here to help you with any product enquiries. Orders generally leave the warehouse within 2 business days. Postage is $5.95, or 5% of your order (whichever is the greater). Stampin' Rewards start with $250+ orders and are automatically calculated for you when you order online (or by me when you order by email). Stampin' Rewards are free product credit amounts (starting at $25 for a $250 order) which you can use on any current product, or the exclusive Stampin' Rewards section where stamp sets are significantly reduced. This is a special perk JUST for those people who earn Stampin' Rewards. There are some very beautiful Stampin' Reward stamp sets too. There are 6 sets in total. My favourite this year is the beautiful VERY VINTAGE stamp set. All you need to do is go HERE or click on the pink Shop Online Button at the top of the right hand column. This will take you straight to my online Stampin' Up! store. Click on the 'Create Account' words under the logo on the left hand side at the top. Complete your order using the lists on the side to find your product (or you can search by product name or item number in the search box). If you have earned any free products, you will be prompted to select those in the checkout process. When you check out, you will be asked "do you have a host code?". If you add the monthly host code (W6AAWZVZ for April 2019) you will also qualify for an additional gift which is sent mid way through the month after your order. You then pay by credit card using a secure server. You will receive an emailed confirmation of your order. Your products will then ship directly to you from the Stampin' Up! warehouse, usually within 48 hours of placing your order. I will also receive an email advising me of your order. If it's your first order with me, I'll be in touch to see if you need catalogues. Postage costs $5.95 or 5%, whichever is the most. Tracking is complimentary on all orders. If you have any questions about placing your online order, you can call me on 03 9735 2946 or 041 212 0498 or email me and I'll be there to help you. Option 2: Place your order direct with me via email or phone. I recognize some people may not like to order online, so I am of course always happy to take your order by phone or email. I work from home full time so you can usually catch me at home on 03 9735 2946 or mobile 041 212 0498. If I am not available when you call, leave a message and I will call you back. I can help you work out postage charges and answer any questions you have about products. I place orders as soon as payment is received (which is immediately if you pay by credit card over the phone, or when the payment clears if you would like to pay direct deposit (I will give you the direct deposit details when you place the order). 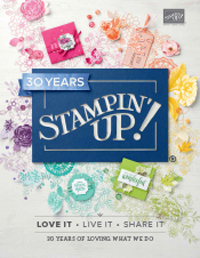 If you spend more than $250, you earn Stampin' Rewards starting at $25 free product. As with online orders, you will also go onto my exclusive customer mailing list, start earning customer rewards and I'm happy to pop a free catalogue in with your email or phone order if it's over $60 (free catalogue offer only applies to your first order over $60, and then regular customers will continue to receive subsequent orders). If you have an order of $150 or more and plan to be shopping regularly, why not join up as one of our Art with Heart team happy hobby demonstrators? Not only will you save LOTS on your starter kit order when you factor in the free shipping, but you will save an ongoing 20-25% on all your orders. Contact me for more information or read more HERE. Why Order from Me? Get Great Service from Australia's Top Demonstrator and a Global Top 100 Demonstrator by becoming my VIP customer. I work full time so you can expect great customer service, to hear about specials in a timely manner and to get lots of inspiration, education and tips on how to use products. I will also quickly respond to you about any issues with products or postal issues. I know my business is all about my customers and team members. I love what I do and it shows. I love communicating with, giving to and helping my customers and I'm passionate about papercraft, memory keeping and the benefits of living a creative life. My goal is to bring joy and happiness to your life through being creative. VIP support from one of Australia's top demonstrators with over 12 years experience. I work from home full time and can get back to you quickly. I can provide advice on using our products, suggest which products to choose for the best value and coordination and help you get the most from your products. I'm also a Global Top 100 Demonstrator in the company. VIP Customer Closed Facebook Group where I share additional ideas, plus have chats, giveaways and fun! Generous Customer Loyalty Program where you can earn free product gifts with me. Free mailed catalogues including the annual catalogue with free postage. Regular customer newsletters with specials, samples, offers and tips (this is separate to my blog newsletter and just for purchasing customers). I work hard to get you the news and offers quickly. Monthly hostess codes to earn free gifts each month with online orders! Online store available 24 hours for orders, as well as phone and email ordering. 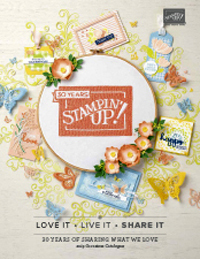 Subscribe to keep up to date with all things Stampin' Up! To stay up to date with all things Stampin' Up! and to be the first to hear about specials and offers, sign up for my monthly blog subscriber email below (you can also subscribe to each blog post HERE). Have a great day, and thank you for choosing me as your demonstrator. Read more about me, my life and my creative journey here.